These are key scopes of our business, however, both the technologies and chemicals used in our work have a much wider application. So far, we have worked for companies from the aviation industry, truckage,as well as owners of commercial and private buildings. We are willing to further challenges, and are open to unusual orders. In Tab Pure, we focus on high performance and professionalism. Our employees are trained, while methods and means used to wash and clean allow us to achieve the best results. 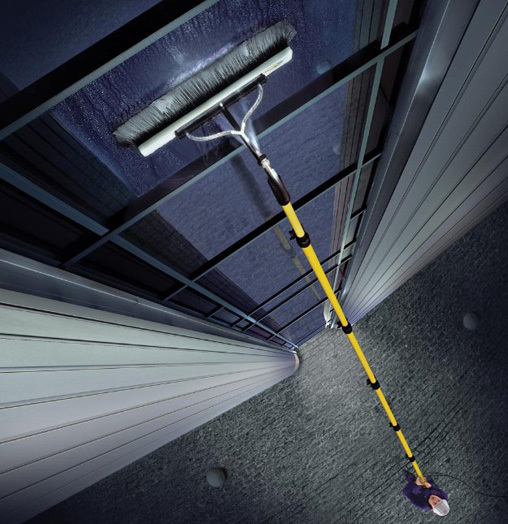 Occupational safety in the course of glass facade cleaning provides the use of telescopic booms, which can clean surfaces up to the height of five floor. We also value the cost optimization. We do not consume water or electricity, because our vehicles are equipped with adequate facilities that provide the osmotic water, which is necessary for cleaning. We operate in the provinces of Świętokrzyskie, Małopolskie, Silesia, Mazovia, as well as in the major cities of northern, central and southern Poland. Services in other parts of the country are determined individually.